Saturday morning I set out with a solo 100km in mind. That’s about as far as I ever go. I’m no long distance cyclist, preferring to smash out a more intense two or three hours in the saddle. Sometimes though you need to go on a journey and as I had nothing else to do … Continue reading "An accidental imperial century"
Featured image: A gloriously chilly winter morning sunrise from the summit of Mount Nelson. With half the year gone already (whaaaaat?!?!) I thought I’d check in on how I’m getting on so far. 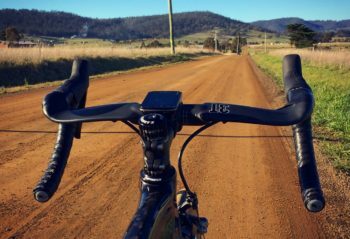 I don’t really set mileage goals as it’s so variable, but in a previous post somebody asked if I would hit 10,000km for … Continue reading "Half Yearly Progress Check"
I don’t really set distance goals these days, I just try and ride my bike as much as I find enjoyable. After all, I ride purely for enjoyment with the fitness aspect being a nice bonus! That said, I do try and hit 200km per week as a very rough general target. 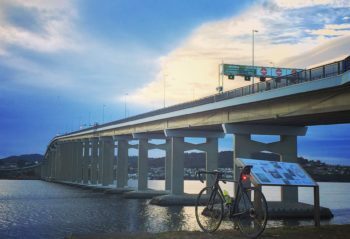 Some weeks I … Continue reading "Passing 4000km for the year so far"
The iconic (for Tasmania) Tasman Bridge is the main connection between the Eastern and Western Shores and a significant landmark of Hobart. I cross over the Tasman Bridge each weekday on my journey to work and back (aboard my motorised two-wheeler rather than by pedal power). 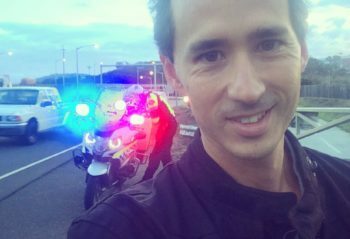 I have cycled across it a handful of times, but … Continue reading "The Tasman Bridge Disaster"
Love em or hate em, hills are a part of cycling. They call your name, taunt you, entice you. 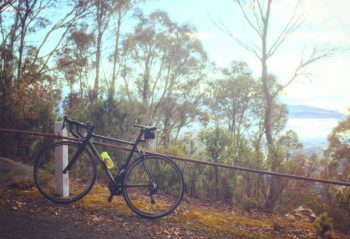 I like climbing, but there was a time in the not-so-distant past where I would avoid any big climbs in favour of posting higher average speeds and more miles on the clock. 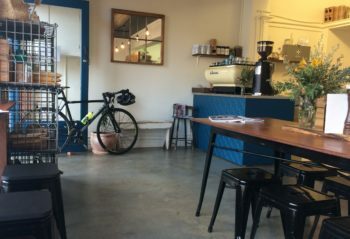 These days I’m learning … Continue reading "CLC2018 Ride 6: Mornings on the mountain"
My weekday morning routine is pretty standard. Wake up early, bowl of porridge for breakfast, get ready, then wheel the Ninja out of the garage for a blast into the office. I plan my departure time depending on how long I want to be out cycling before work. 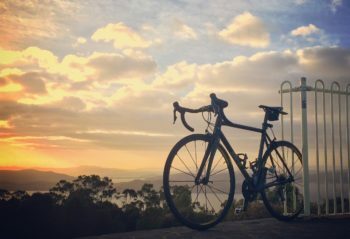 There’s nothing like and hour’s sunrise pedalling … Continue reading "CLC2018 Ride 5: The seven switchbacks of Mount Nelson"
Following alongside the now-disused railway track, the Hobart Innercity Cycleway makes for a great car-free cycle from the waterfront along the Derwent River up to Claremont and back. From my office, it’s a relatively flat 32km (~20 mile) return trip of wide and smooth purpose built concrete path. Sunrises and cycles. 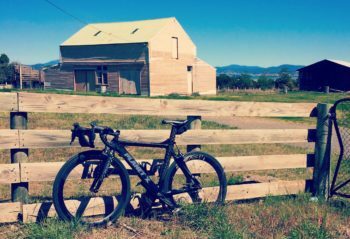 Repping in my Woking CC … Continue reading "CLC2018 Ride 2: Cycleway to Sweet Sassafras"